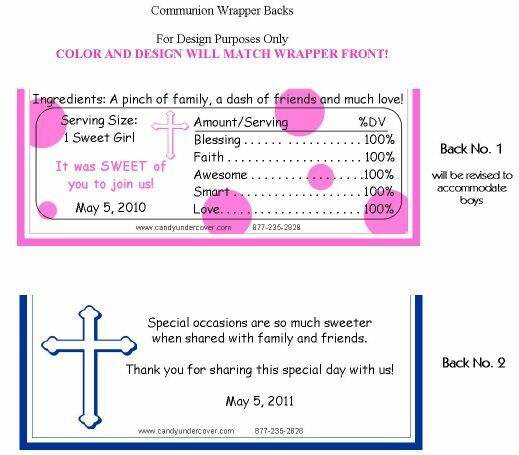 Simple yet beautiful that's what this First Holy Communion Candy Bar Wrapper is all about! A beautiful gold cross draped with a pink flower and pink petals complete with your child's name and Communion date. 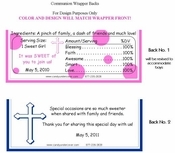 Imagine this Fist Communion Candy Wrapper wrapped around a delicious chocolate bar! They will look stunning on your Communion Party tables!